The body of a heavily-armed Pakistani intruder was recovered along the Line of Control (LoC) in Jammu and Kashmir’s Poonch district after the Army thwarted an infiltration attempt by a group of terrorists under the cover of Pakistani firing, an Army official said today. The body was recovered during a search and sanitisation operation launched after the Army foiled an attempt by a group of terrorists to intrude into this side in Khari Karmara sector on Sunday evening, the official said. 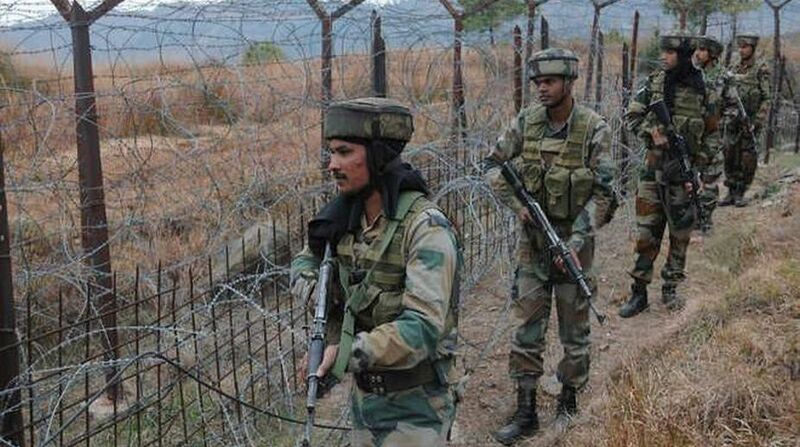 The Pakistan Army initiated unprovoked and indiscriminate firing on Sunday along the LoC in Poonch to facilitate an infiltration attempt by a group of terrorists. Indian troops deployed at the border detected the movement and engaged the infiltrators with effective automatic fire. The official today said three Army personnel who were injured in the exchange of fire were admitted to a hospital and their condition was stated to be stable. Twenty people — 11 security personnel and nine civilians — were killed and over 75 others injured in Pakistani shelling along the LoC and the International Border (IB) in Jammu division since the beginning of this year. Meanwhile, a junior commissioned officer (JCO) was injured in an accidental mine blast in a forward area in Mankote sub sector in the district yesterday. The officer accidentally stepped over a landmine, which was washed away, causing an explosion, the official said requesting anonymity.